Recently Crown Cleaners unveiled a new feedback program called ReviewMyDryCleaner. The folks at Kona Cleaners in California developed this software a few years ago that allows current customers of a cleaner to give almost instant feedback to the cleaner on how they performed. The way this is done is by emailing the customer once they pick up an order from Crown. In the email, the customer is given a few options on how to rate the cleaner and if they want to post their review to social media websites. Of course, this can only happen if the cleaner has collected the customers’ email address and entered it into their software. There are a few objectives for a cleaner in implementing the ReviewMyDryCleaner program. The obvious objective is for the valuable insight on the many facets of the business that is provides. The quality of cleaning, spot removal, pressing, packaging and customer service feedback are just a few of the things that a cleaner is looking for. Turn-around time, communication and value or pricing are some of the others. It is important to me that Crown Cleaners provides great customer service, and I believe the path to customer satisfaction really begins with finding (and keeping) quality employees. Unfortunately, dry cleaning is an industry that often has high employee turnover, but I do what I can to attract ideal employees. 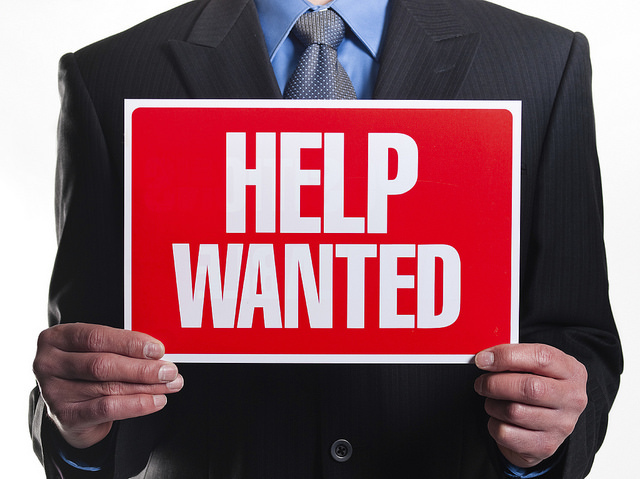 For example, starting pay at Crown Cleaners is well above minimum wage and more than our competitors offer. I provide good benefits, including life insurance at no cost to employees, six paid holidays each year, three annual “family days” (days when Crown closes – such as Good Friday – so employees can be with their loved ones), and a pension plan that matches employee investments dollar for dollar. I also try to create a pleasant work environment, and the company buys lunch for all employees every month. I do these things because I care about my employees and my customers, and I hope they feel the same. For the past three years, Crown Cleaners has sponsored a boat in the annual Bill Williams Fishing Tournament. The event is a charity tournament, and this year proceeds benefitted Friends of Tennessee’s Babies with Special Needs, Boy Scouts of America and the Cerebral Palsy Center. It’s presented by the Greater Knoxville Sertoma Club, of which I’m a member, and is always held the last Saturday of March. Crown’s sponsoring started when Bill Freeman, a customer, came in with fishing apparel. We struck up a conversation about the sport, and I offered to sponsor him in exchange for taking me along that first year. It was very interesting. Each boat is allowed to have up to two fishermen, so he was the experienced one and I was the novice. This year, I bowed out of being Bill’s partner after I noticed one of my employees, Cat Bennewise, had fishing poles in her car. I asked if she’d be interested in partnering with Bill, and she was. 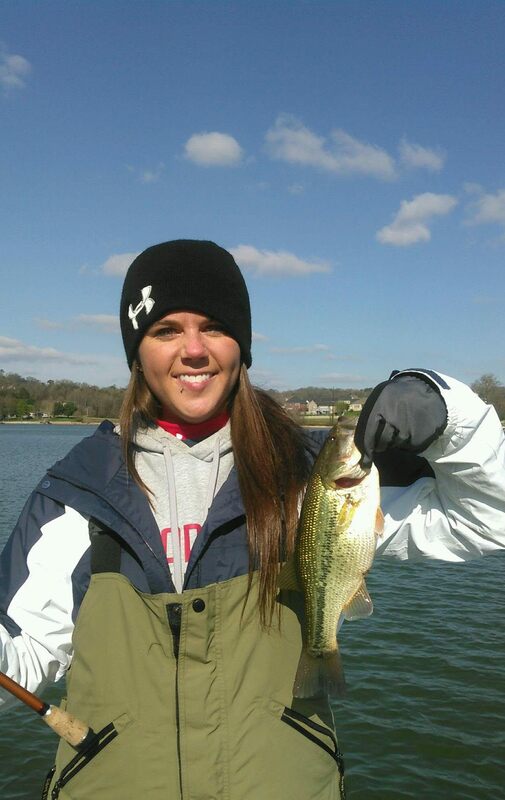 As it turns out, she caught more fish than he did, but who’s keeping track? (Crown: 1, Bill: 0.) There was a lot of competition this year – 73 boats entered the tournament – and Bill and Cat didn’t place in the top ten. But from the sound of it, they had a wonderful day out on the lake. Look at the smile on her face! I love that owning a small business allows me to provide a customer and an employee such experiences while supporting a great charity event. I embrace technology. More often than not, technological advances improve our lives, sometimes by making a difficult task easier, other times by keeping us connected. Crown Cleaners uses modern technology in a number of ways to create a better experience for our customers. Our most recent technological addition to the company is the Crown Cleaners app, available on iTunes and Google Play Store. This free app provides important information and it saves you money. Customers who download it will be able to learn more about our Pick-up and Delivery Service, have access to coupons, monthly specials, store information, and receive notifications about unexpected events, such as closures due to weather. What I really love about this app is its built-in rewards program. The more you use it, the more money you’ll save! About 300 customers downloaded the app in its first 60 days, and the feedback has been overwhelmingly positive. Finding the app is easy. Just search for Crown Cleaners on your Apple or Android devices. For more information about it, visit the iTunes description page. By Don Holecek|2015-05-26T12:21:18+00:00May 1st, 2015|Crown News, Services|Comments Off on Yes, There’s an App for That! 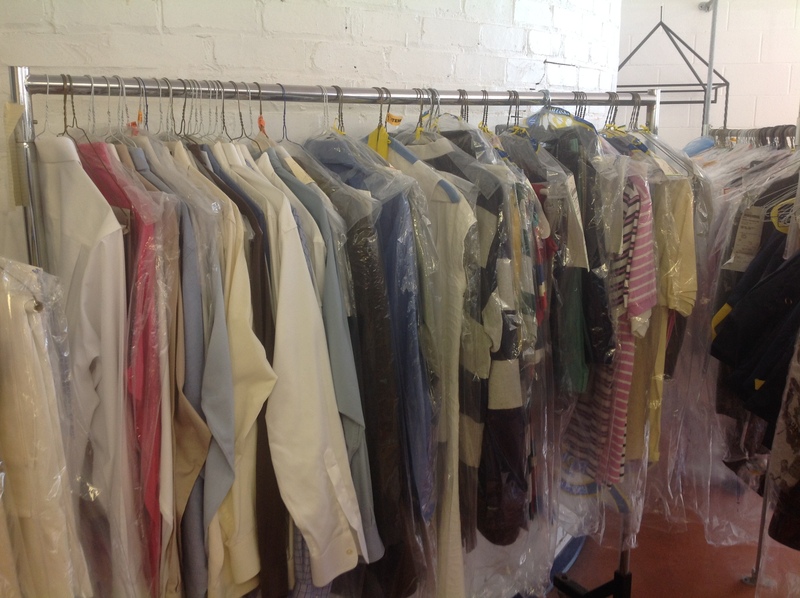 One of the challenges of owning a dry cleaning business is dealing with dozens and dozens of abandoned items each year. It’s not unusual for a certain amount of ties, button-up shirts, expensive suits, and even wedding dresses to hang on the racks for months without being picked up. Sometimes it happens because the owner has moved. Other times (s)he simply forgot about the garment. Or, sadly, our customer has passed away. Whatever the reason, abandoned items tend to accumulate in this business if they’re not addressed. So where do all of those clothes and household items, such as comforters, go? They’re almost always donated, but only after the item has been left for at least 30 days and after several attempts have been made to contact the owner. Over several weeks, we make phone calls, send emails, and mail postcards asking that the item(s) be picked up and providing notification that the property will be disposed of if no response is received. After we have exhausted all methods of contacting an owner, our employees have the option of purchasing the item at cost of the dry cleaning bill. This might take care of a few items each year, but not many. Everything else is donated to a variety of organizations, including Goodwill and Ladies of Charity off Baxter Ave. Sometimes a small production company stops by and requests clothing donations, which will be turned into costumes for an upcoming performance. Sometimes a local restaurant will ask for white button-up shirts for their new wait staff. Abandoned property is NEVER thrown out. We do our best to find homes for anything that isn’t picked up. Crown Cleaners has been the target of a thief. Perhaps the same thief because each time the break-in is so similar. The person or persons strike only after the store has closed and employees have left for the day. They seem to know exactly where the cash drawer is stored and take all the money that had been left for the next day. The vending machine is raided. If something of obvious value is nearby, such as a laptop, it will also be taken. To my great surprise, a bag of unopened candy was taken one time. The building is never trashed. And the equipment doesn’t appear to be touched. 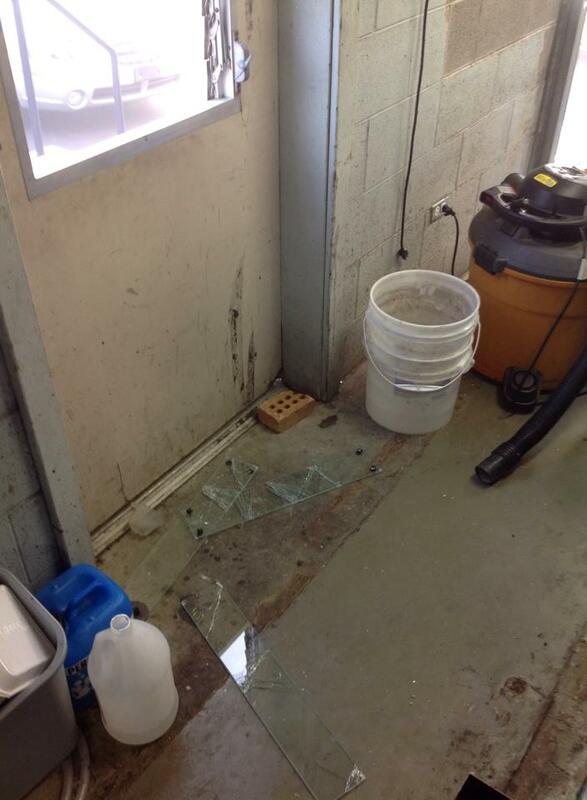 Each time, the only major damage sustained is a broken door and/or window so the criminal(s) can enter the closed store. To be honest, I’m not sure I understand it myself. It’s true dry cleaners used to deal in a lot of cash. But debit cards have dramatically reduced our number of cash transactions, so there is very little money on-site at any given time. Tired of pancake breakfasts and car washes? The kids are back in school, and for many families that means a sudden bombardment of fundraisers. Your evenings and weekends are filled with commitments such as attending (and maybe organizing) the football team’s pancake breakfast, selling coupon books to everyone you know, and scrubbing tires at the band’s car wash. As a father of school-aged children, I know how quickly these activities accumulate, eating up valuable family time and, quite often, money. 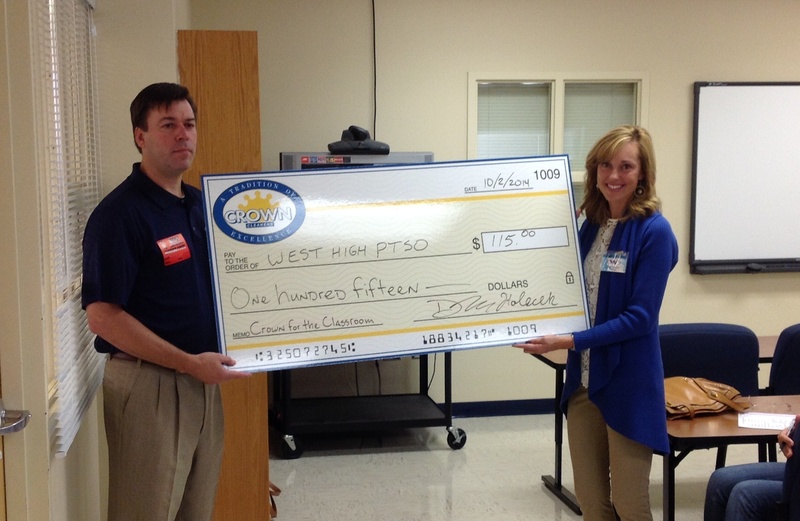 Did you know Crown Cleaners offers an easy way to donate funds to your favorite program? 1. The sooner you sign up, the sooner funds begin to accrue and more money will be donated! Completed forms need to be submitted when you drop off your dry cleaning in order for that particular transaction to be included in the donation. Previous transactions are not included in the donation, so be sure to sign up at your next visit. 2. Customers who take advantage of our free pickup and delivery service can also participate in Crown for the Classroom. 3. Donations will be made at the end of every semester (or every 120 days if your funds are being donated to an organization that isn’t associated with a school). By Don Holecek|2014-10-14T19:00:22+00:00October 3rd, 2014|Community|Comments Off on Tired of pancake breakfasts and car washes? Have you heard about the Kids Triple Crown Challenge? It’s a triathlon series for kids in East Tennessee and is sponsored by Crown Cleaners. 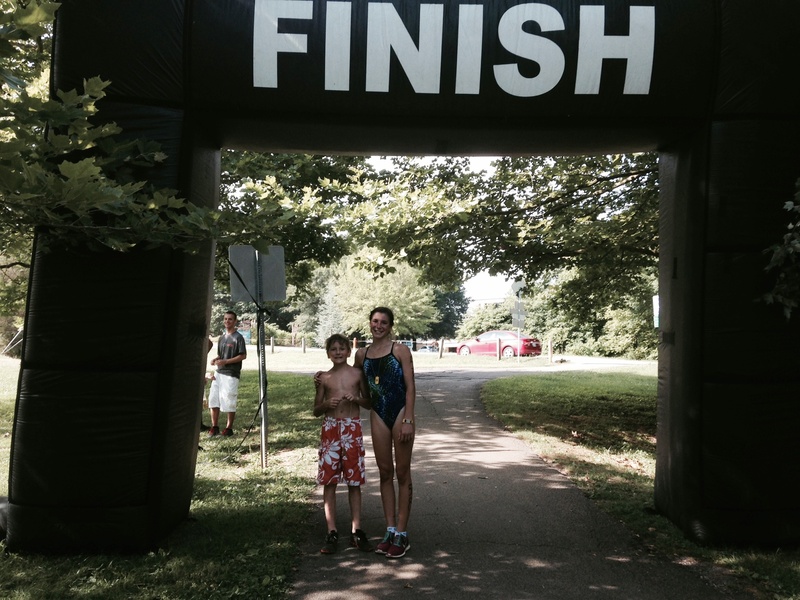 The first event, the Salamander Splash & Dash, was held June 21 at Knoxville’s Westside YMCA and was a great success! Seeing those kids’ faces when they crossed the finish line was inspirational! The above photo was taken at this event. The remaining series events are the Sharks & Seals Kids Tri on July 19 at Springbrook Pool in Alcoa and the Dragonfly Kids Tri on August 16 at the Knoxville Racquet Club. For both events, late registration and check-in will start at 7 a.m. Kids between seven and ten years old will begin racing at 8:30 a.m., while kids between the ages of 11 and 15 will begin racing at 9 a.m. Awards will begin at 10 a.m. Registration is $70. Athletes do not have to attend every event in order to participate and will receive a 22-ounce water bottle and a t-shirt with the series logo. At each event, racers also will receive race shirts and finisher medals. This is a great opportunity to fight summer boredom and to try something new. Your child doesn’t have to be an amazing athlete to participate in a triathlon. As a former triathlete, I know from experience. Kids don’t have to be strong at all three components – swimming, biking and running – in order to do well because each one is just part of the overall race. Give it a shot! If you’d like more information about Kids Triple Crown Challenge or want to register, visit racedayevents.net/events. What’s This Dry Cleaner Doing With a Llama? There are traditional ways of advertising a small business such as television, radio, newspapers, and direct mail. Advertising on social media and other websites has become very common. But I want my money to do more than just market my business, so I keep my eyes open for ways it can make a difference at the same time. 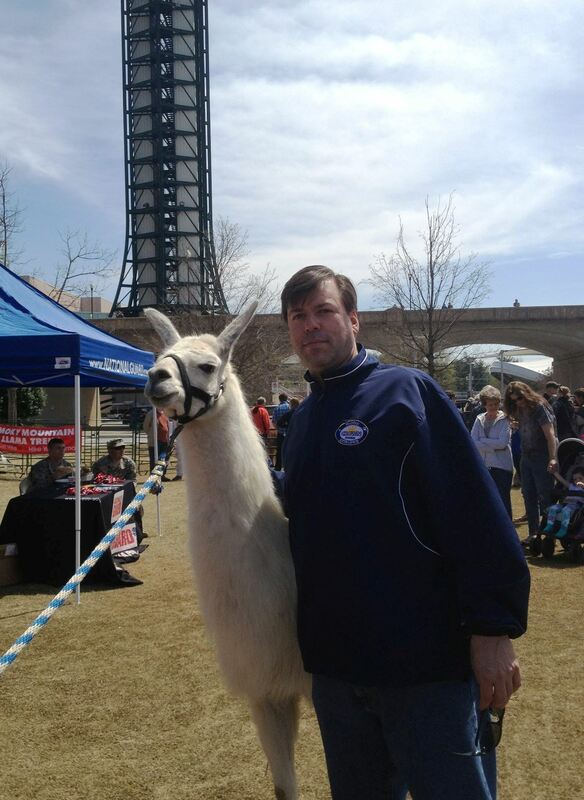 Recently, I was able to do both by sponsoring a llama in Knoxville’s first Great Llama Race, held at World’s Fair Park on Saturday, April 5. The Great Llama Race was a fundraiser benefitting local schools, Southeast Llama Rescue, and Casa de Sara, a Knoxville non-profit that organized the event. Local celebrities were paired with a Knoxville school and a llama to form teams that raced against each other in heats. The event also included food, entertainers, crafts, games, and music. It was a lot of fun. More information about the race and Casa de Sara can be found at www.thegreatllamarace.com. The Crown Cleaners Team didn’t win the race, but we had a great time while supporting a few good causes and spreading awareness of the business to an estimated 5,000 people. I call this a win-win-win situation, and I’d spend my marketing dollars on opportunities like this over traditional methods any day. Community involvement is one of Crown Cleaners top priorities, and I thought The Great Llama Race was a chance to be part of something unique. We’ve sponsored plenty of teams in golf tournaments over the years, but never have we sponsored a team in a llama race. I loved the originality and synergy of this event, and the team is overflowing with creative ideas should Casa de Sara hold the event again. By Don Holecek|2014-05-23T14:55:15+00:00April 24th, 2014|Community, Crown News|Comments Off on What’s This Dry Cleaner Doing With a Llama?